Of course Halloween is one of my favorites to do. I am actually excited for fall colors. I did a muted version of Orange that is not so bright. I used Barry M Papaya and stamped with A England's Princess Tears. Then I simply added a spider in black. I really love this. Love the subtleness of this...I didn't know that A England stamped so well! 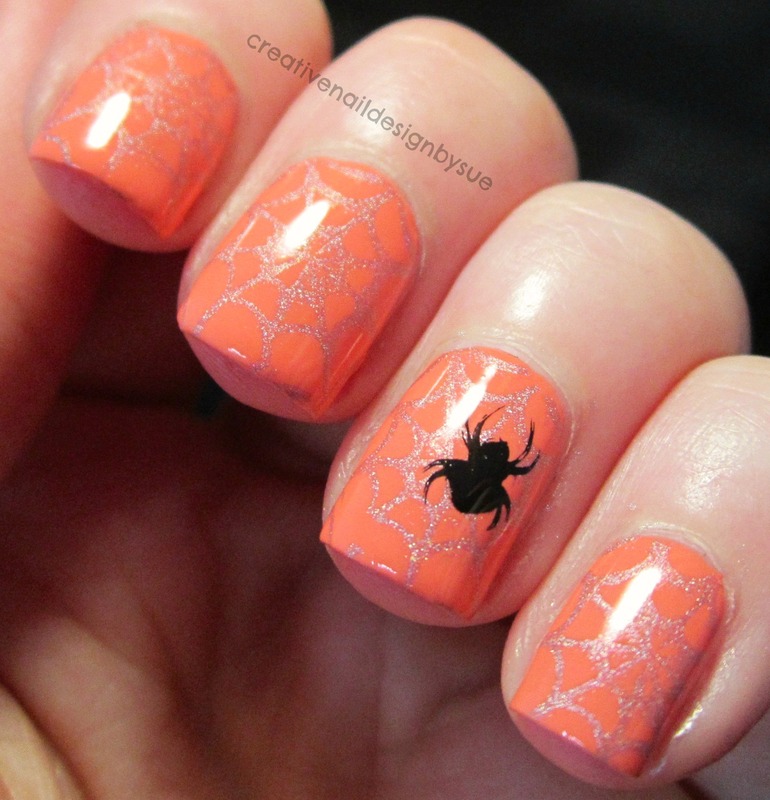 love how subtle it is, like a spider can ever be subtle! but its very true to life with the barely visible web! the subtley is amazing. it looks so good!